Sheryl O’Loughlin is a serial entrepreneur and author of Killing It! An Entrepreneur’s Guide to Keeping Your Head Without Losing Your Heart. 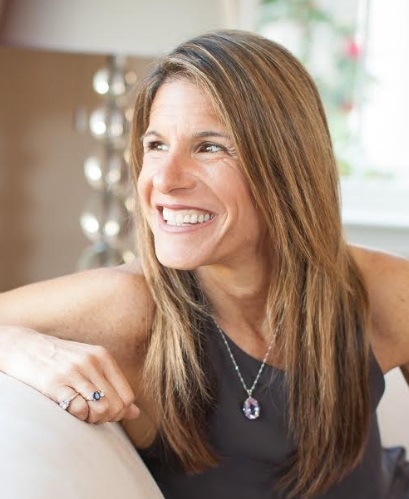 She has served as the CEO of Clif Bar and Company, where she led the concept development and introduction of Luna Bar. In Sheryl’s three years as CEO, the company revenue doubled from $100M to $200M. She then went on to co-found and serve as CEO of Plum, Inc. Plum was sold in 2013 to the Campbells Soup Company. She was the Executive Director of the Center for Entrepreneurial Studies at the Graduate School of Business at Stanford University. Sheryl is currently CEO of REBBL, a fast-growing super herb beverage company. Sheryl earned her MBA from the Kellogg School of Management at Northwestern University. She lives in Santa Rosa with her husband, Patrick, and her two sons. You can learn more about Sheryl at www.sheryloloughlin.com. I came to the industry in a roundabout way—through psychology. From the time I was young, I wanted to dedicate my life to understanding of how people’s minds work, and to be able to help ease their suffering. While my plan was always to study psychology, when I was in college, my mom told me she wouldn’t be able to pay for graduate school. We didn’t have a lot of money when I was a kid, so it scared me to think about being in that situation again, and I imagined being under debt for many years. So I decided to study business instead, something that would give me job-ready skills without necessarily having to get a graduate degree. I realized that marketing used the principles of psychology, so that’s what I focused on. At the time, the best marketers were big food companies. Since I also loved food, I chose to go to work for General Foods, beginning an over 25 year career in the food and beverage industry. A key trend in the emerging natural food world is using herbs like turmeric for their anti-inflammatory and antioxidant properties, as well as herbs called adaptogens, like ashwagandha. Adaptogens are known to help your individual body adapt to stress: If you’re overstressed, for instance, ashwagandha calms you. If you’re under-stressed, it provides energy. Sustainability-- from an environmental and people standpoint—also continues to be a critical and growing trend. For instance, REBBL was started by a nonprofit called Not for Sale, an organization dedicated to eradicating human trafficking, the biggest growing illegal industry world-wide. What Not for Sale realized was that a for-profit solution was the most sustainable way to address the issue. REBBL does that in 2 ways: 1) we give 2.5% of the net sales of every purchase back to Not for Sale to help their efforts to rehabilitate victims of trafficking and 2) we work with the communities that grow our ingredients to provide them with the livelihood they need so they don’t become vulnerable to trafficking in the first place. The purchase of REBBL becomes an engine for good, and consumers are increasingly looking to shop that way. REBBLs explosive growth is due to being immersed in these key trends. The plant-based food trend is an extremely exciting opportunity, as noted in this Huffington Post article. Consumers who were previously dedicated to eating meat are increasingly eating more plant-based diets to support better health. Shifting the population to more plant-based diets will allow us to feed more people and has other big environmental benefits. Another industry opportunity is making sure there is transparency about what is in our food and where it comes from so that consumers understand the true health benefits and how it affects people up and down the supply chain. The beverage company I’m leading now, REBBL, fits these trends perfectly. We produce an organic coconut-milk based elixir made with superherbs and the best ingredients from the Plant Queendom. We are committed to helping our consumers understand how REBBL supports people and the planet highlighting our dedication to supporting our grower communities. REBBL is special in many ways, but particularly because of its origin story. As I said, REBBL was started by the nonprofit Not for Sale. In 2011, the geographical area of concern for Not for Sale was the Peruvian Amazon. Though rich in natural resources, because the area is so remote, and cut off from basic infrastructure, the communities there were struggling to meet their basic needs, and were vulnerable to exploitation. The problem was clear, but the solution wasn’t immediately so. What could Not for Sale do to help create jobs in this area? So the non-profit convened a summit called the Montara Circle, bringing some of the greatest diversity of minds together to come up with a solution, and vowing to implement the idea with the most support. REBBL—a beverage using the native super herbs from the area—was the winning product idea. The concept was that the herbs would be bought directly from the indigenous community, providing them with a living wage for their crops. With the hopeful growth of REBBL, the community would no longer be vulnerable to trafficking. The vision for the business is to nurture our team inside and outside of work, to stretch ourselves by keeping one foot in the known and one in the unknown, to build a following of REBBLs who are just as committed to the brand as we are, and to maintain our close connection with Not for Sale and help eradicate human trafficking. A core competency of REBBL is beverage innovation in product. To that end, we’re introducing three exciting new flavors this year, which we’ll announce soon. We’re in the process of building a strong product pipeline to bring innovations to the market at least once a year. We’re also working on a project with Cal Berkeley and using a tool called the MPAT (Multidimensional Poverty Assessment Tool) to measure our impact. The MPAT is considered the most progressive tool in measuring the critical components that determine if a community is in or moving out of poverty, such as access to education, water, and health care, as well as gender and social equality. REBBL plans to start using this tool this year. My key initiatives at REBBL have been, and continue to be, to innovate in ways that surpass consumers’ expectations, to bring REBBL to more consumers in and outside of the core natural food channels, and to scale our sustainability efforts. While we’re working to scale our business and grow our team, it’s paramount to keep our special culture alive. Even with our fast growth, we need to support people in having rich, full lives outside of work. I talk a lot about this idea in my new book, Killing It: An Entrepreneur's Guide to Keeping Your Head Without Losing Your Heart based on the ups and downs of my career as the former CEO of Clif Bar and Company, the cofounder and former CEO of Plum, Inc., and my experiences now at REBBL. I write openly about the challenges of starting and growing a company, the importance of not equating your self worth with the net worth of a company, and how to nurture a full life while being part of a start-up. I had most of my difficult moments before coming to REBBL, which means that I got to learn from my mistakes and set myself up for success. In the process of cofounding and running Plum, I rode the highs too high and the lows too low. It was exhilarating, but it was exhausting and above all, unsustainable. Though Plum is a company devoted to nourishing kids from the high chair to the lunch box, I ironically lost sight of nourishing myself, and became anorexic. I am much more careful now. I care deeply about my work—I wouldn’t enjoy it or be good at it otherwise—but it doesn’t define me. I don’t ride it the same way. Above all, I just enjoy the epic adventure of it all. Consumers now demand that food and beverages can’t just be healthy. They must be healthy, convenient, and taste exquisitely good. Consumers want to support companies that have values, that care about the planet and that care about people. If you can spend money on a product that delivers on all of these ideas, the relationship between your brand and the consumer go much deeper than a cash register transaction. Consumers become fans for life because they trust the brand and they know that their purchase of your brand will make a difference. I fell in love with REBBL because it delivers on all of these values. As consumers savor REBBL's phenomenal taste, they come to learn more about how healthful it is and how they are supporting such an important effort to help eradicate human trafficking. We have a team that gets it and puts grit and passion into making sure consumers have the ultimate experience with our brand. By constantly reinforcing a vision and purpose that they believe in, so that their work has meaning and they can understand and see the impact of their work. By honoring and celebrating the value they bring and loving the person they are and have the potential to become. An entrepreneur’s health and well-being are paramount to the success of a company. Maintaining friendships and relationships while starting a business is not just an indulgence but a necessity. Numbers can be dangerous when they become an obsessive focus--whether that’s on a profit and loss statement, or in the leader’s internal evaluations of his or her self worth. Talking honestly and being vulnerable with other entrepreneurs keeps you sane and makes you better at what you do.